We are pleased to introduce CoffeeParrot.Coffee. You read that right. Coffee Parrot Dot Coffee. The new home of Red Tail Brand handforged 100% parrot friendly whole bean coffee, roasted to perfection by the Coffee Parrot. 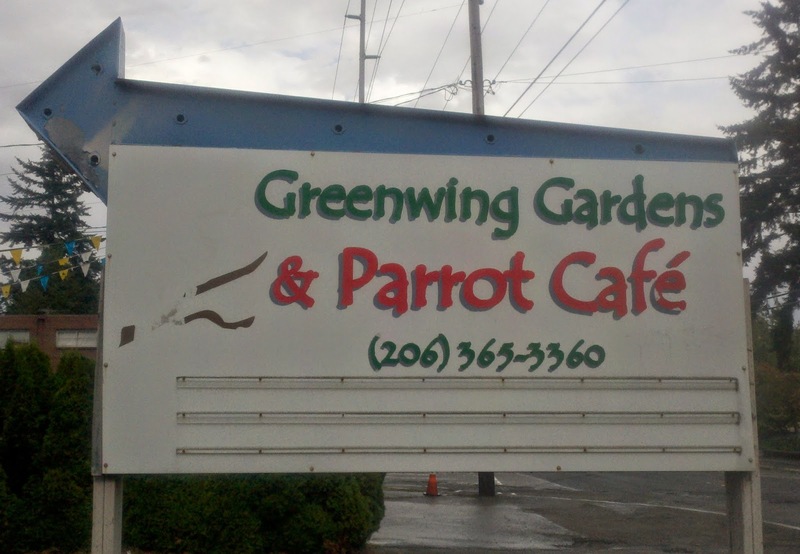 This has been a long journey from operating the original Parrot Cafe established in Seattle in 2003, to acquiring our own coffee roaster and operating a micro-coffee roasterie. Our new website CoffeeParrot.Coffee better reflects our current orientation. 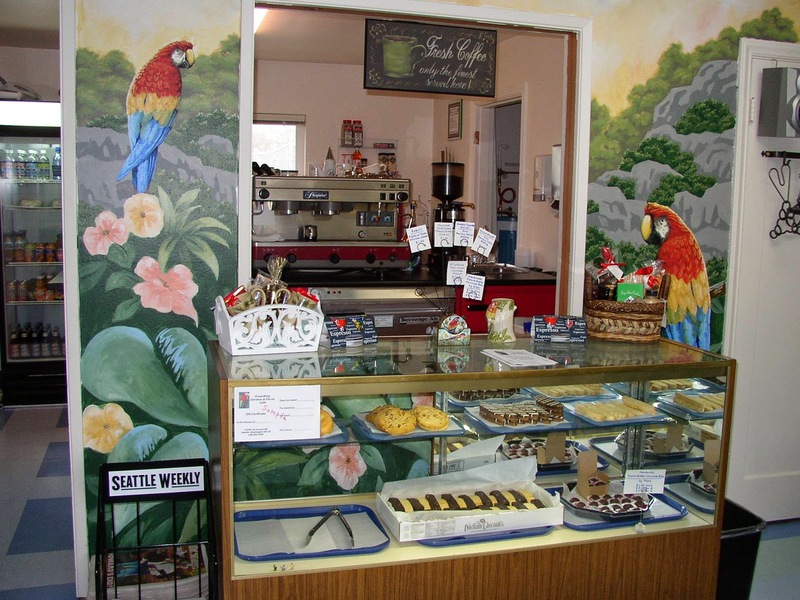 Seattle's Original Parrot Cafe Located Near North Seattle's Haller Lake. 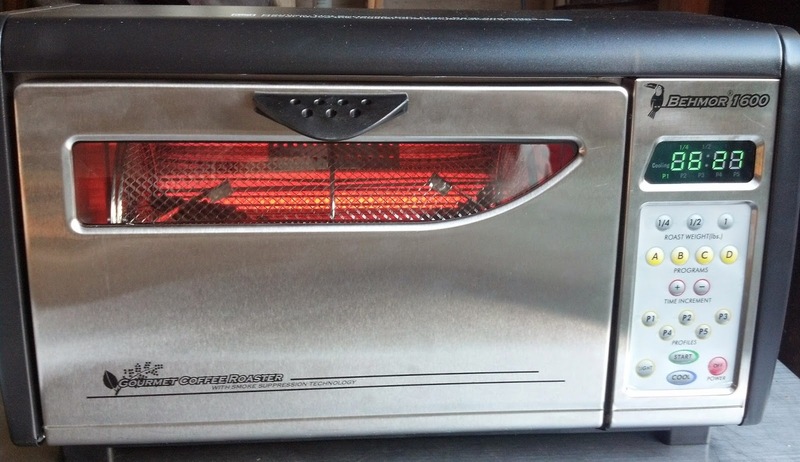 Our Behmor 1600 Coffee Roaster. How appropriate the Behmor nameplate sports a toucan! Our first breakfast blend. 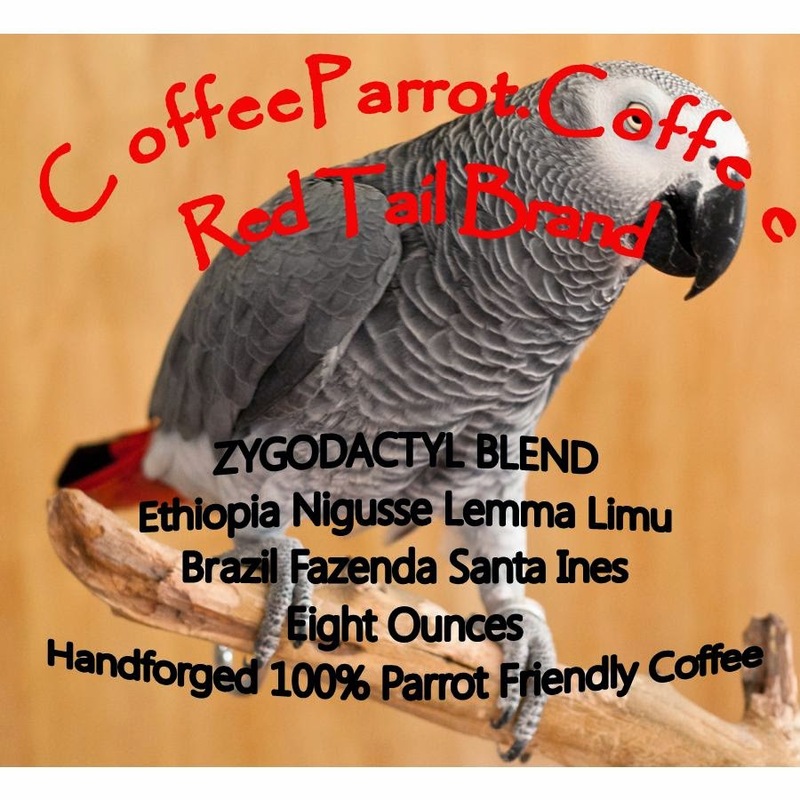 Red Tail Brand Zygodactyl Blend. Celebrating the birthplace of coffee and the home of the rarest parrots in the world, including the Hyacinth macaw. Zygodactyl is one of our favorite words, and is a fitting descriptor for the prehistoric parrot species. Our mission today remains the same as it was in 2003. 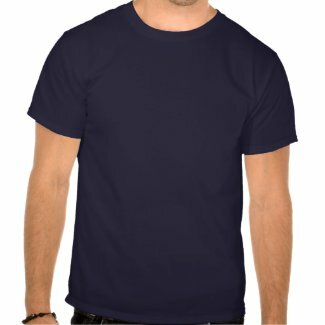 Sell the finest organic, shade grown, fair trade coffee on the market. Organic tea, rare books and parrotphernalia as well. Come visit the Caffeinated Parrot and find out for yourself. 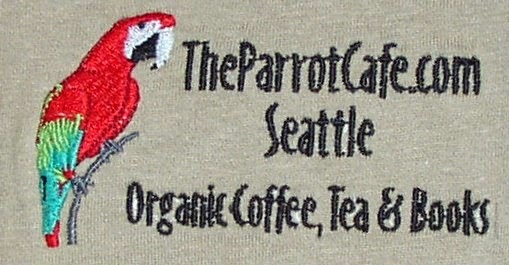 ParrotCafe.com Logo Featuring Spokesparrot Roxanne.